You often hear people talk about which kitchen company to go for but you don't hear so much about the appliances that go into the kitchen. You do need to give it some thought as appliances are a very integral part of your kitchen. They are used frequently and can last many years if they are looked after correctly. One of the best places to read impartial reviews is Which? but I found that there were a lot of mixed reviews out there as well. 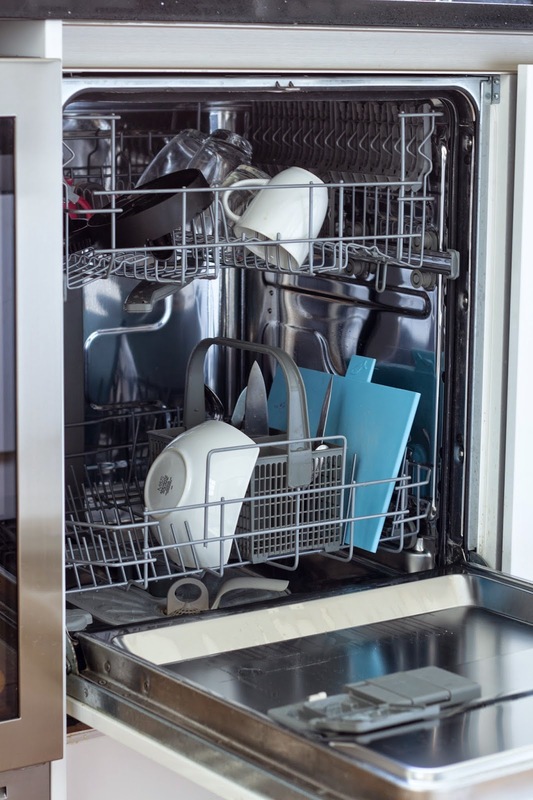 Should you get a Beko dishwasher or is it worth splashing out on a Miele? Expensive appliances can break too so there are no guarantees. Needless to say, it's best to do as much research as possible in advance. Also, don't only focus on the functionality of the appliances but read warranty and customer service reviews as well. I will be writing our one year Magnet kitchen review very soon but I wanted to share my recent experience with AEG separately. We got our kitchen through Magnet and ended up buying most of the appliances through them as they were willing to price match with online prices. My options were limited because I went with Magnet but we decided to go with their premium range. We felt that we had already put so much money into the kitchen it would seem a bit silly to go with the cheapest appliances they had on offer. Also, in the past we had been unlucky with washer/driers so we knew that it's worth getting the best. The only appliances that are not AEG in our kitchen are the free standing fridge (Samsung) and the wine fridge (Capel). 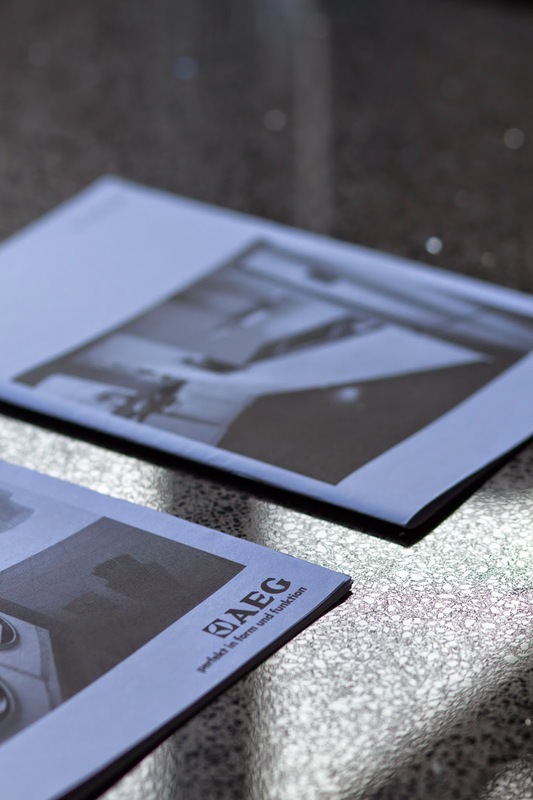 By the way, AEG is now owned by Electrolux and I did a bit of research online before going ahead with them. 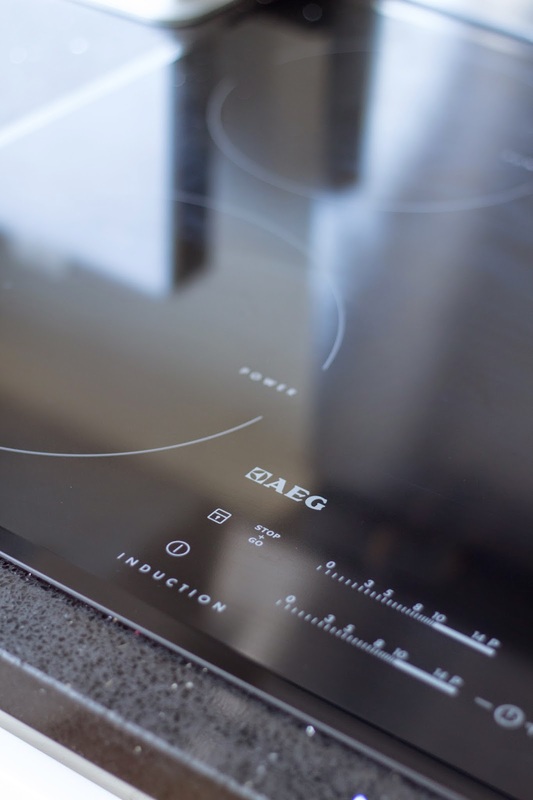 I have actually found our AEG appliances excellent. Well, mostly. We got our hob, oven, extractor hood, microwave, dishwasher and washer/drier from them and they look fantastic but are also incredibly easy to use. In fact, so easy that I didn't bother to read all the manuals (mistake number 1!). I have to say, the induction hob has really changed the way I cook. It's incredibly fast, safe and easy to to control. The prices aren't too bad these days either so it's definitely worth getting one in my opinion! We got almost through the entire year until we realised that there was a problem with the dishwasher (FAVORIT 34030VI). The glasses were getting more cloudy after each wash. And, I'm not talking about crystal (I would never wash crystal glassware in a dishwasher) but regular glasses. 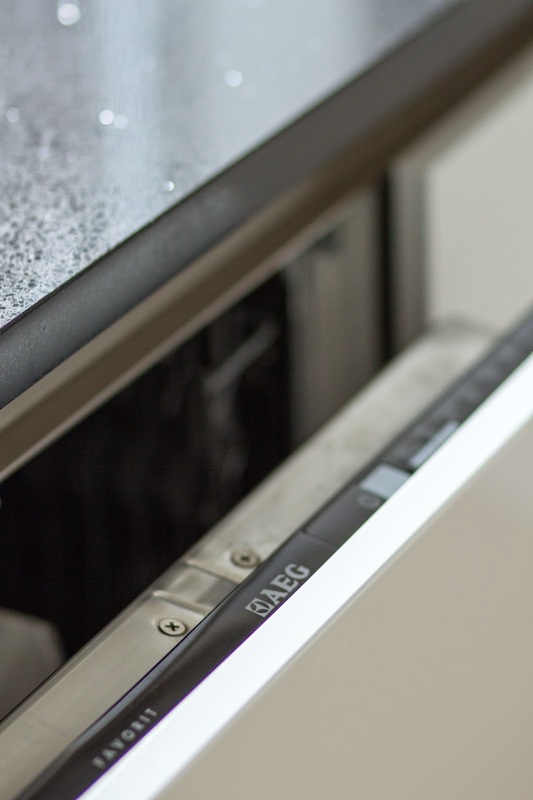 It was clear that our dishwasher wasn't performing as it should and we tried everything to fix the problem. We read the manual and adjusted the settings. We tried adding more salt to the salt dispenser. I started using dishwasher cleaners every few weeks as well as rinse aid in every single wash. I even started putting the washes at 50 degrees Celsius as I wasn't sure if it was caused by heat but nothing seemed to work. Sadly, our glasses were ruined. We haven't managed to get the cloudiness out and have tried everything (vinegar, baking soda, you name it). If anyone knows a good trick feel free to share it! After literally trying everything, I contacted AEG customer service and they sent over an engineer to have a look at our dishwasher. I was impressed that they sent someone over within 2 days! That's a pretty good turn around in my book. Luckily, we were still under 1 year warranty and didn't have to pay for the visit which was great. You need to remember to register your appliances asap so they are under warranty by the way! The engineer arrived to have a look at the problem and he was incredibly helpful and knowledgeable. He had a look at our dishwasher and realised that our settings were on 5 which is too low for a hard water area like ours. 5 is the setting that all the dishwashers default to when they leave the manufacturer but you will need to adjust these yourself if/when required. We did try changing them but we didn't realise that the higher the setting the more salt it would use. We are currently now on 7 and it means that it blends more dishwasher salt into the wash. The cloudiness apparently has nothing to do with high temperatures but it has all to do with the lack of salt! If you are not sure how hard the water is in your area, check your water suppliers website. Most of the UK has hard water (water with a high mineral count) which is why using dishwasher salt frequently is so important. I have to refill our salt dispenser at least every 2 weeks (there is a salt indicator) which goes to show how much salt our dishwasher is using at the moment. The engineer also raised the top tray as he said it will help the machine perform better. I asked him about using dishwasher cleaners and he told me that you really don't need them more often than every 4 months as dishwashers are self cleaning these days. A lot of people treat their dishwashers as food disposal units which of course causes other problems. The engineer even told me that it is more effective to use a separate dishwasher tablet and rinse aid rather than use all in 1 products. Of course, using separate products is cheaper too! And, apparently rinse aid is important for the heating/drying part but not for the wash itself. The engineer told me to wait two weeks to see if the glasses get cloudy again (I bought some cheap glasses to test) but I am happy to say so far we haven't had any problems but I am annoyed that I waited this long (mistake number 2!) because now my old glasses are ruined. Even though, I am pretty happy with the dishwasher in general I find it annoying that it doesn't have a short cycle. It takes too long for the wash (usually 2 hours) but I guess at least it's performing very well. Once we had the engineer over to look at the dishwasher, I thought it might be a good time to mention that our AEG washer/dryer (LAVAMAT 61470) is a little bit too loud as well, especially when it's on spin. He kindly had a look at the settings and discovered that it was not heating water. This was a whole new problem I wasn't aware of! The machine was using ambient temperature around 10 degrees Celsius which is clearly not hot enough for your average wash. We had never noticed this as clothes were coming out clean (or, so we thought) but he explained that it was because detergents are so powerful these days. If you don't fix this issue though there will be problems in the long run as you will develop a dirt build up inside the machine (not to mention the fact that your clothes are not getting clean!) He had to replace a part in order to fix the problem and he also made sure that the floor was level underneath the washing machine and tightened few screws which seems to have reduced the loudness a bit. If you suspect that your water is not heating up just put in a wash in 60/90 degrees and see if the front door gets hot. The engineer also gave me a few tips which should increase my washing machine's life. Every month you should run a maintenance wash which will get rid of the dirt inside it. Just run a empty cycle at 90 degrees and add salt crystals in the regular wash compartment. This will increase the life time of your machine significantly as it will help to prevent calcium build ups. Also, every time you have finished a wash it is good the leave the door open for a while so that it gets some air (something I never do). He even told me that if you have a drier make sure you use it at least once a month otherwise you can develop problems with the drying mechanism of the machine. By the way, here's an interesting article/discussion How long should your washing machine last? It's worth a read! I have definitely learned a few valuable lessons thanks to our problem. First of all, study the manual carefully and if you are still not sure why the machine is not working properly get an engineer over. I waited way too long and we wouldn't have ruined most of our glasses if we had reported this problem earlier. I know quite a few friends who have had similar issues with cloudy glasses so it's worth making sure you are not low on salt. I am hoping that we won't have further issues anytime soon but it's good to know that in case something happens at least I can rely on AEG customer service and skilled engineers to fix the problem. You can read my Magnet Kitchen review here! Few months after I wrote this review my glasses started getting cloudy again and I contacted AEG to see what could be causing this. Interestingly, they asked me which dishwasher detergent I was using and adviced me to switch to another brand. I had been using Finish dishwasher tablets since they were recommended in the AEG leaflet. I decided to try Fairy Platinum tablets in stead and bought some new glasses to test. Well, it has been now almost 5 months and I haven't seen any cloudy glasses. It is shocking that the Finish dishwasher tablets were part of this problem but apparently they are not ideal to use in hard water areas which I wasn't aware of. Also, finally after 3 years we have had to get rid of our AEG washer/dryer (LAVAMAT 61470) because it was causing us so many problems (and costing money). First the dryer mechanism broke (all the clothes were coming out smelling like cigarette smoke, quite bizarre) We managed to get rid of the smell by cleaning the washing machine properly with Vinegar and Detol washing machine cleaner. However, when the spin mechanism finally broke in February 2017, we decided to get a separate washing machine and dryer (this time different brands) It has so far been the best decision we have made! My experience with integrated washing machine/dryers is so bad that I cannot recommend them for anyone. Thank you so much for your comment Ken!